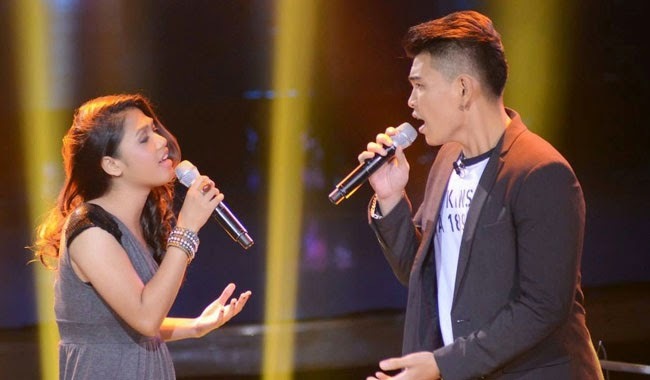 The Battle Rounds of Team Apl's Daryl Ong vs. Samantha Felizco will happen on The Voice of the Philippines Season 2 on December 20, 2014 as the Battle Rounds draws into a close. Super Inggo cartoonist, Daryl Ong, was also able to hitch with Apl De Ap’s team when he sung ‘Paano’. He was also able to convince Sarah and Lea to turn with his soulful voice but it was Apl who got him. Ong said that his inspiration is his son who lives far from him. Samantha Felizco sang ‘Hurt’ for her to pass the Blinds Audition and reach her dream to be a professional singer since she was six. Lea and Apl had turned their chairs and Bamboo shared that he regretted not pushing his red button for a chance to make her part of his team. Sarah commended on her vibrato. Will Bamboo have a chance to steal Felizco as he promised? Will Ong get the spot t the next round? Bookmark and refresh this page to find out.